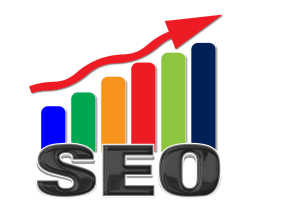 Our Salt Lake City SEO company focuses on internet marketing services utilizing organic search engine optimization, PPC as well as social media to enhance your online presence with the top search engines such as Google, Yahoo and Bing. Our Digital Marketing agency in Salt Lake City, UT has top SEO experts that help small to large companies increase their website presence online locally, nationally or globally. Our SEO Specialists can help you identify opportunities and can consult as well as draft strategy to help you execute your campaigns to get the results your company wants to achieve. Our focus is not just getting an increase in volume of visitors to your website but on getting the right visitors to your website. Despite what you may have heard, the purpose behind SEO is not merely to get more visitors on your website. SEO has become far more complicated because it is now dependent on quality over quantity in all aspects. It is about getting more of the right people to your website that will convert into paying customers and have a positive return on investment for your business. It is important to appeal to the right viewers who can accurately find what they are searching for. This relies on having a user-friendly website that is easy to navigate as well as clearly and accurately labeled. We have been fine tuning our craft for years to ensure tangible results, not just website traffic. These services will help increase your online presence significantly by directly targeting the organic search results through careful planning and analysis. The possibilities for your website’s success are limitless when you use our trusted Utah SEO company to gain the competitive advantage. Don’t wait. If you are not utilizing a digital marketing strategy to rank well on the search engines, then you are already losing revenue to your competitors. The internet is continually evolving, what worked well yesterday can change in an instant and our dedicated team of SEO specialists will help your business stay ahead of the curve, above your competition, and in front of your customers. Give us a call today and learn more about what we can do for your business; we will change the way you think of SEO Salt Lake City. Have questions? Call us at (801) 683-1186.